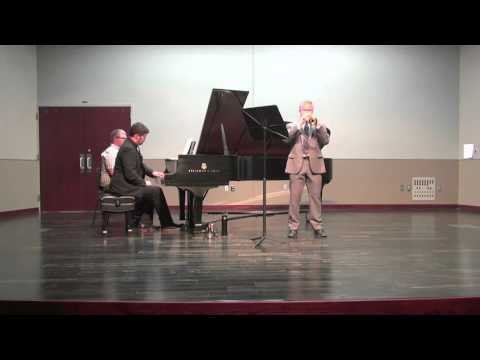 Dr. Jesse Cook is the Assistant Professor of Trumpet at Valdosta State University and the Principal Trumpet in the Valdosta Symphony Orchestra. He received his DMA from the University of Texas at Austin and has held appointments at Pittsburg State University in Pittsburg, Kansas, Northeastern State University in Tahlequah, Oklahoma, San Jacinto College in Houston, Texas, and The University of Texas at Austin. Dr. Cook has recently enjoyed performances with the Kansas City Symphony, the Houston Symphony Orchestra, the Oklahoma City Philharmonic, the Tulsa Symphony Orchestra, the Austin Opera, and the City Limits Brass Quintet. He has also appeared as a soloist in Bach’s Brandenburg Concerto #2 with the Austin Bach Cantata Project, Bernstein’s Mass for Wind Ensemble and Brass Quintet with the Austin Symphonic Band, and L’Histoire du Soldat with the Round Top Festival Orchestra Faculty. A frequent recitalist and clinician, Dr. Cook has performed for and instructed students at universities in Georgia, Wisconsin, Illinois, Iowa, Minnesota, Texas, Alabama, Kansas, Mississippi, and Oklahoma. He has also written several articles published in the International Trumpet Guild Journal and was an invited speaker at the 2014 Texas Music Educator Association annual conference and the 2014 International Trumpet Guild conference. In addition, Dr. Cook has been an invited guest lecturer on his dissertation topic of music performance anxiety at over a dozen universities around the country. Dr. Cook’s principal instructors were Ray Sasaki, Mark Hughes, Mark Ridenour and Channing Philbrick. He is an Edwards and Getzen Performing Artist.